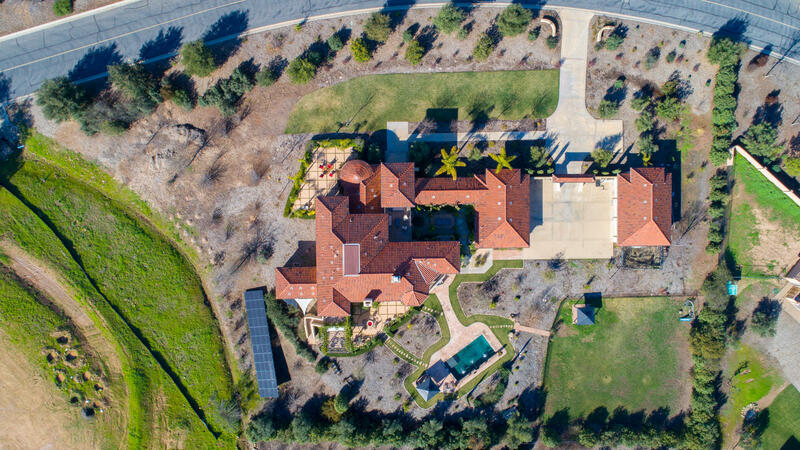 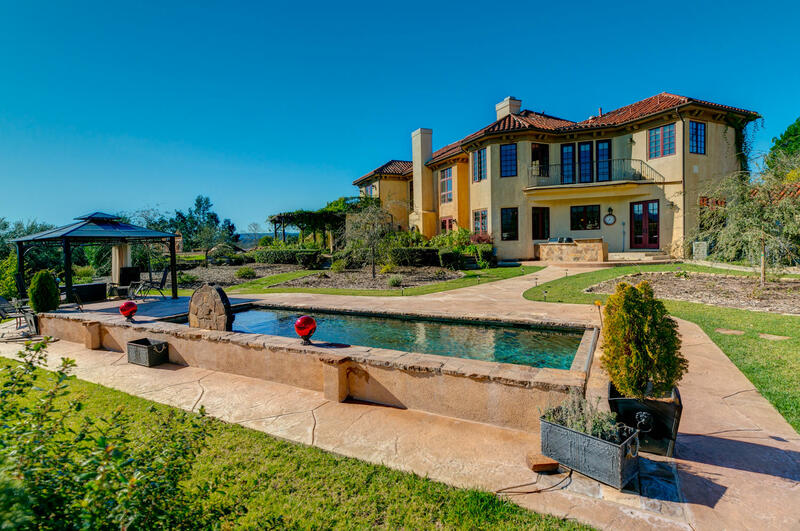 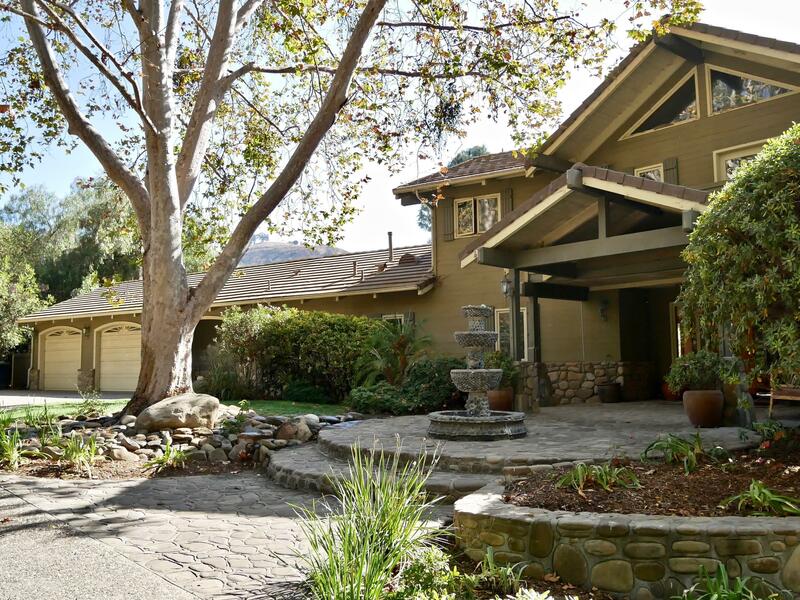 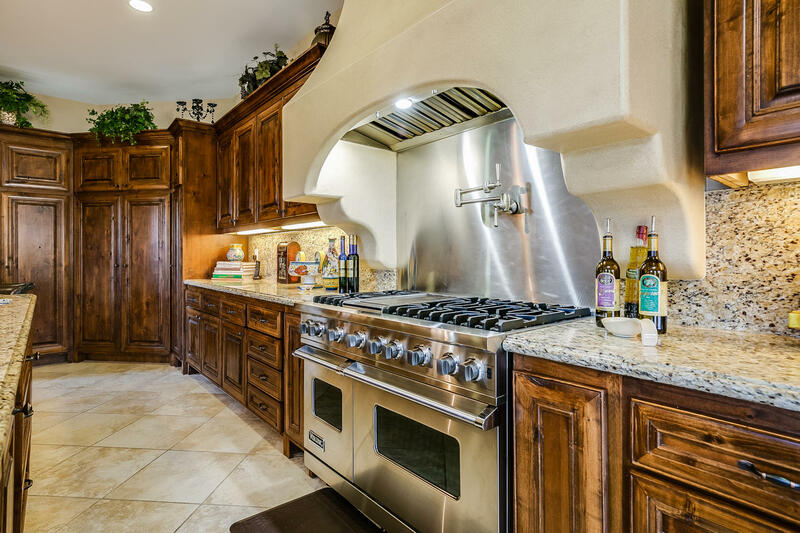 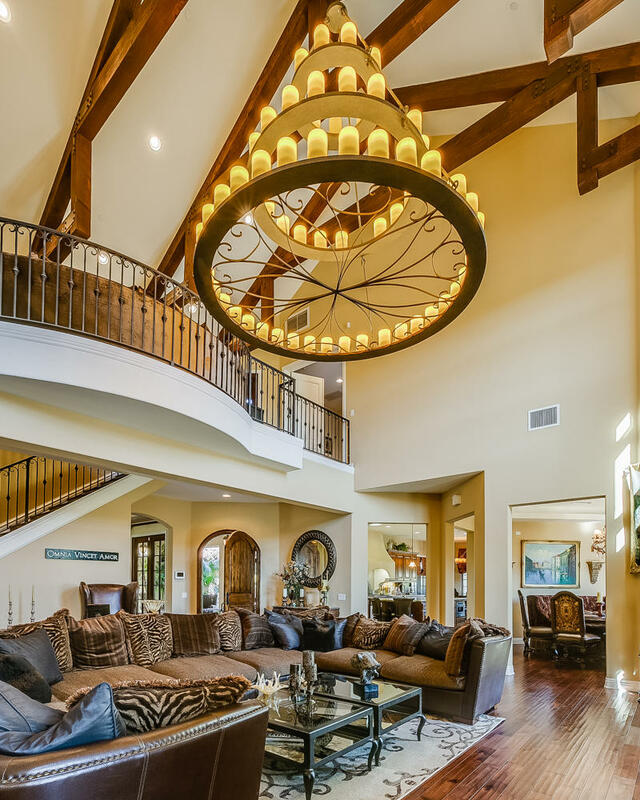 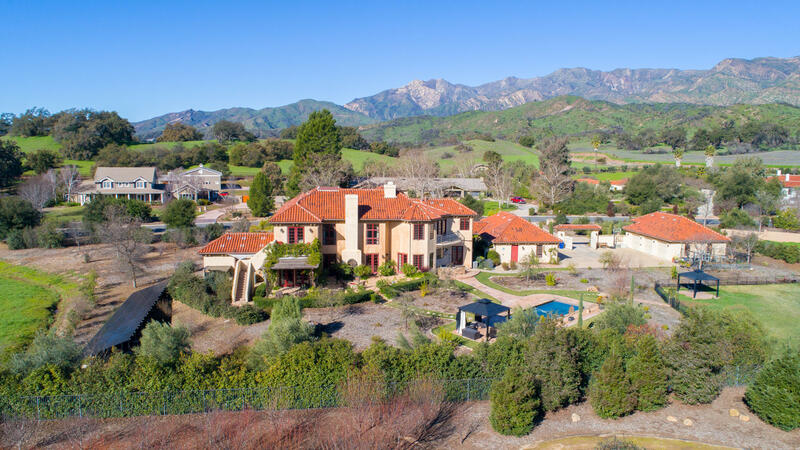 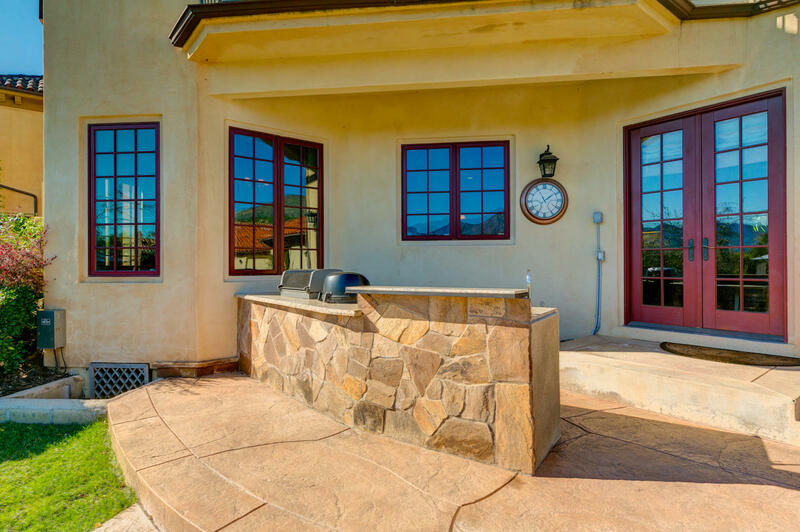 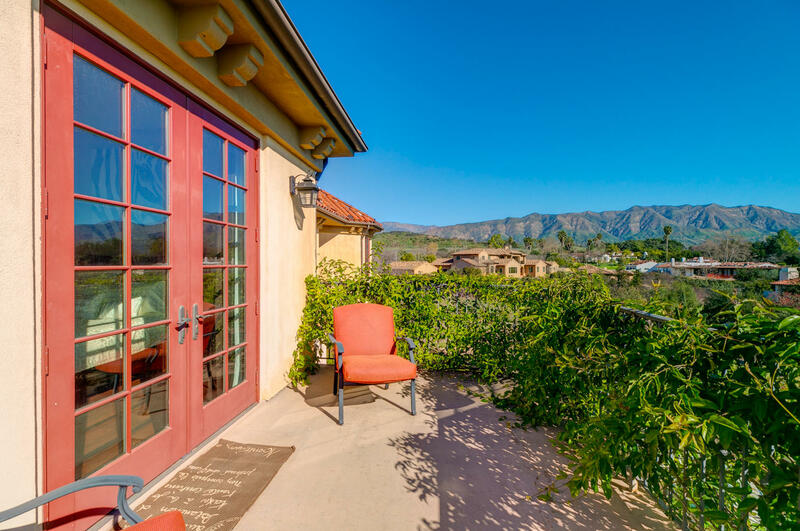 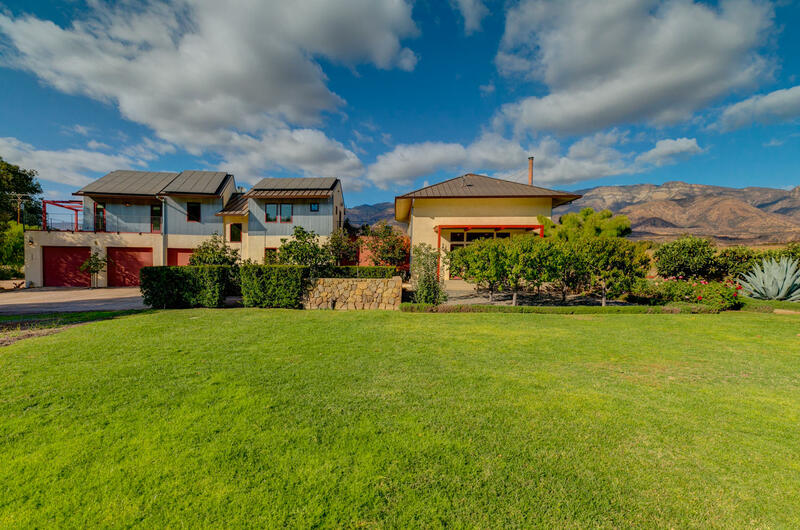 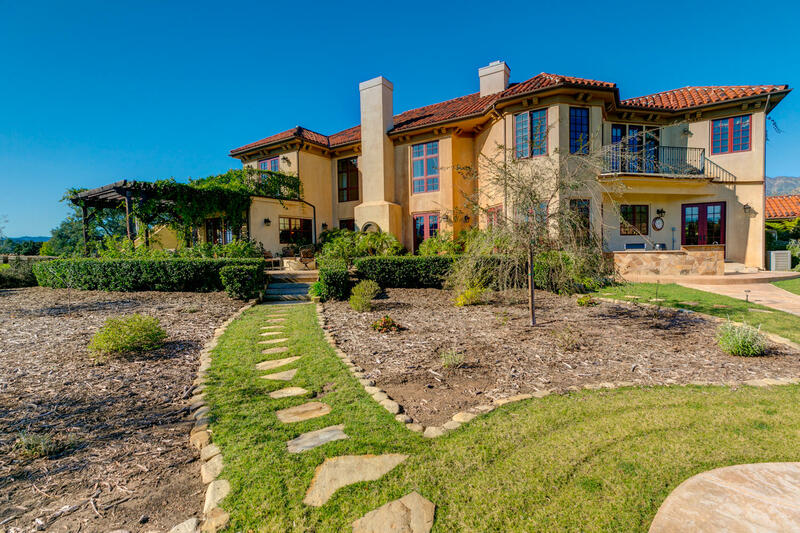 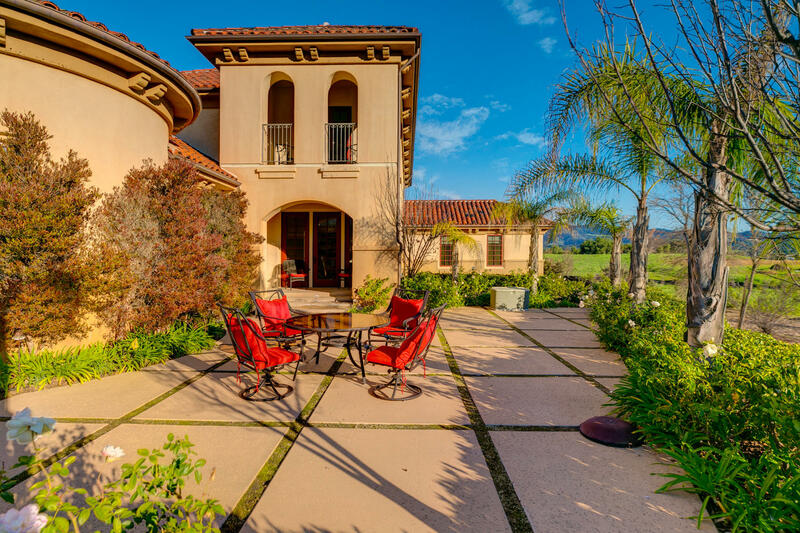 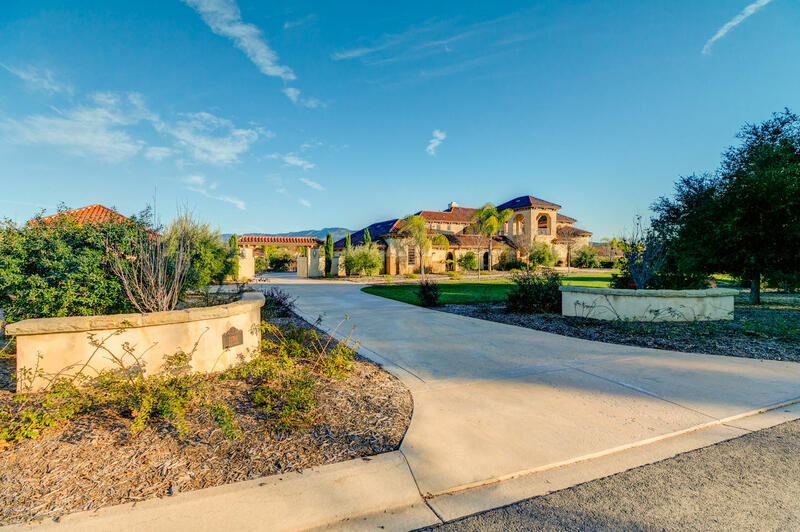 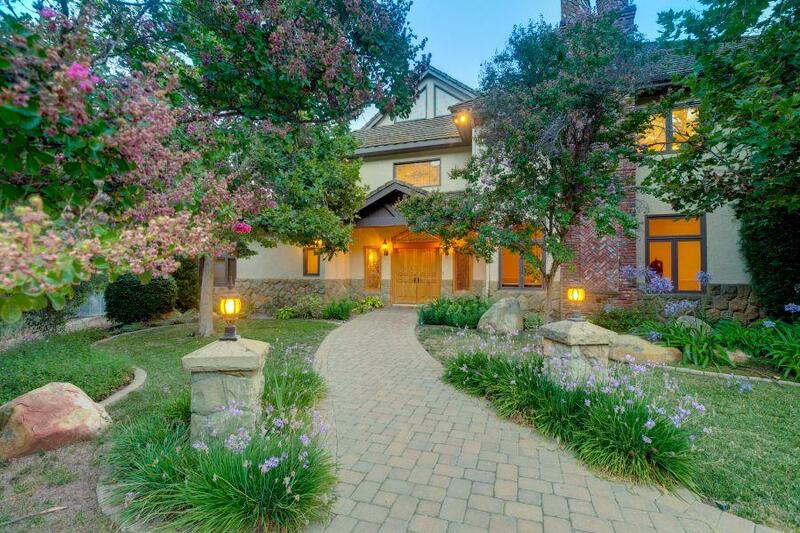 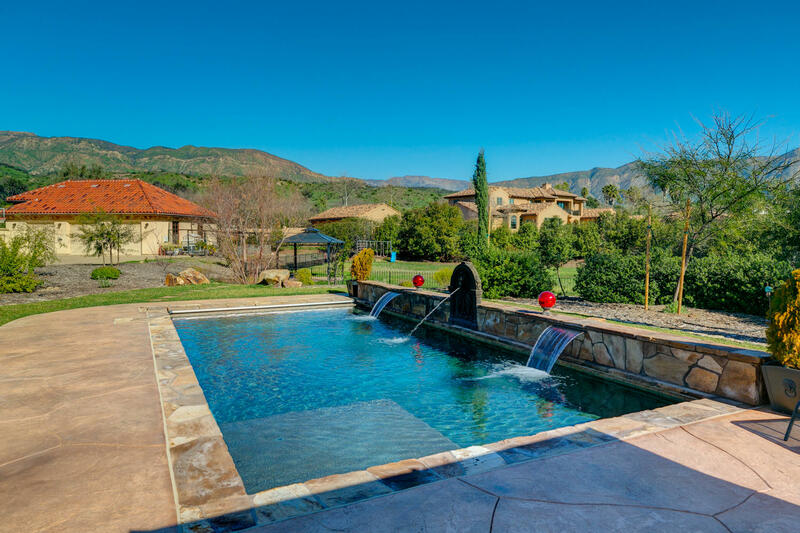 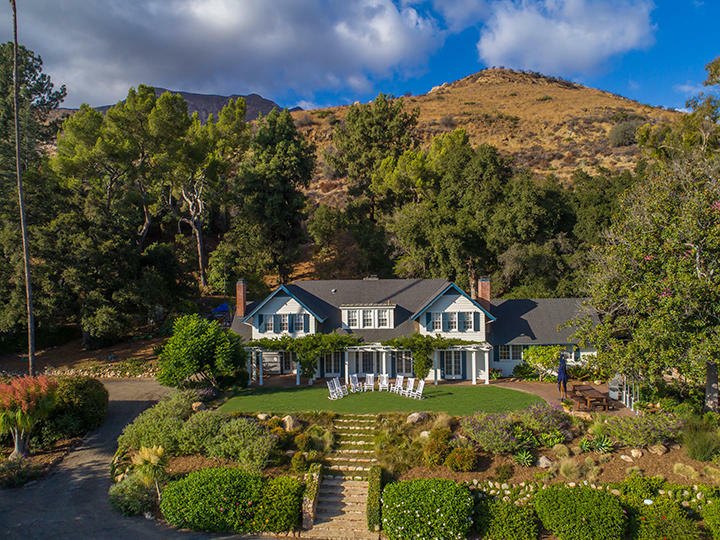 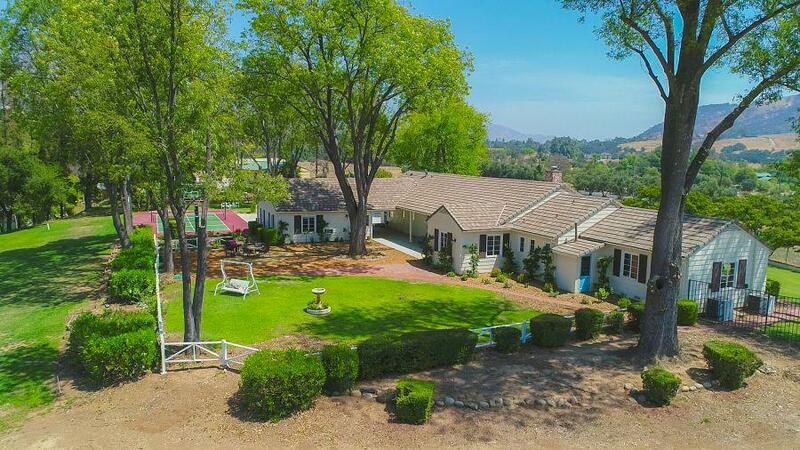 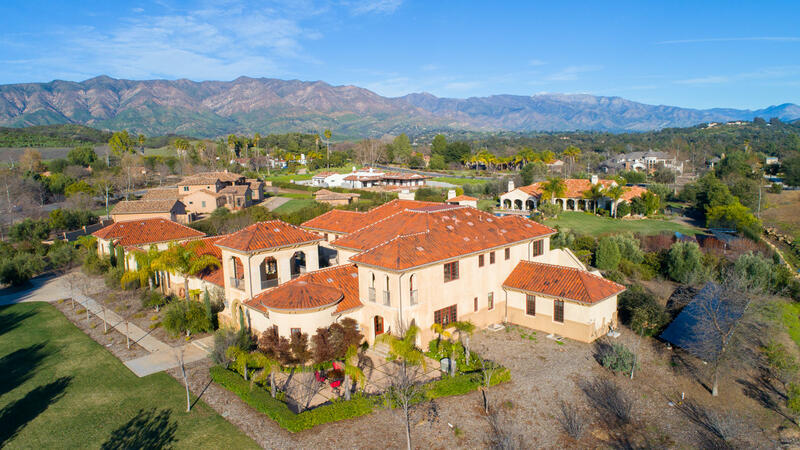 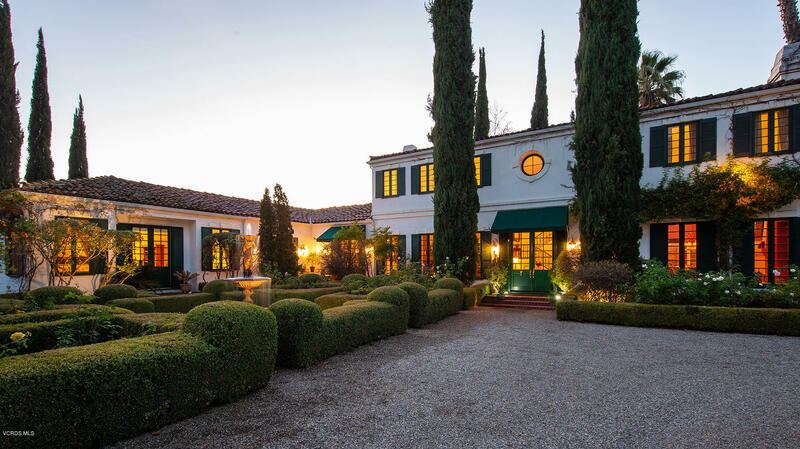 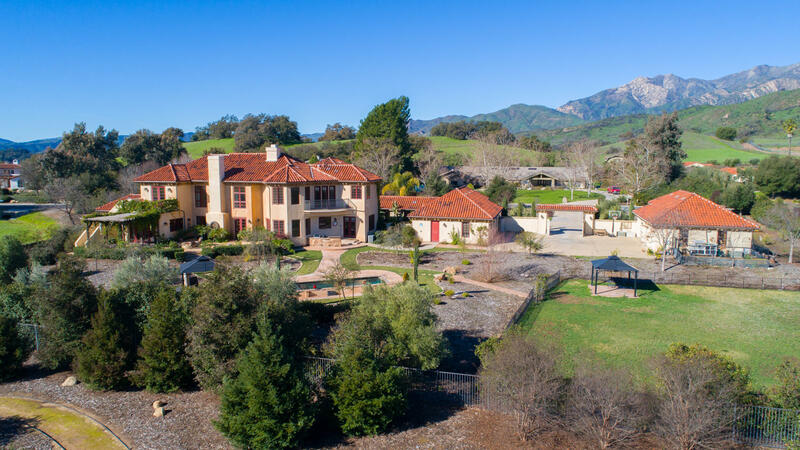 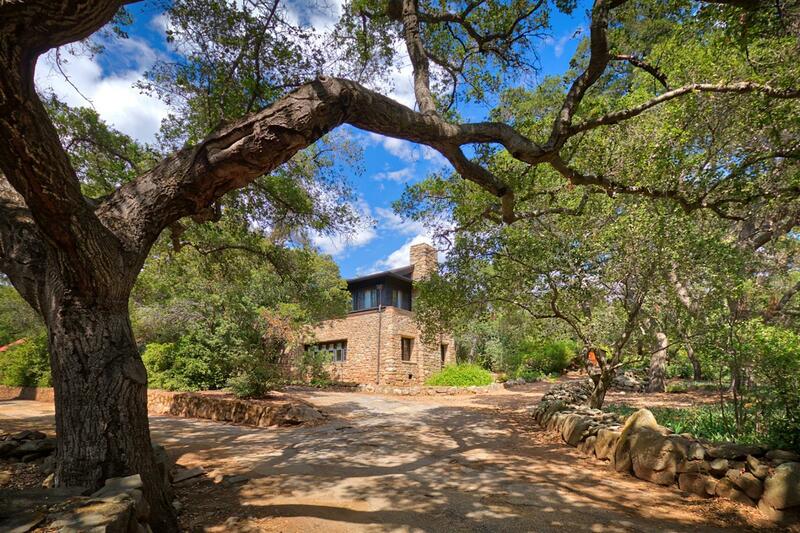 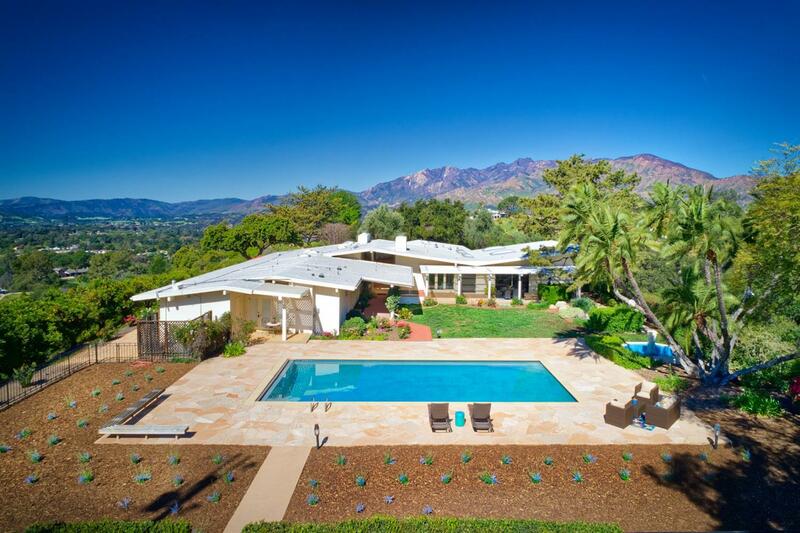 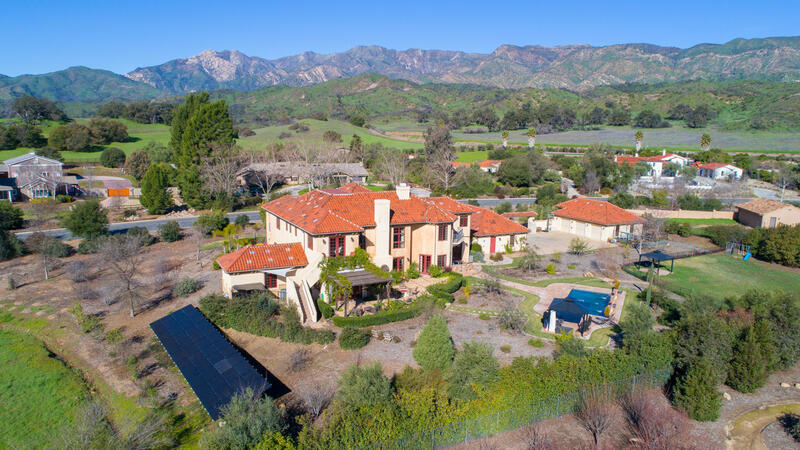 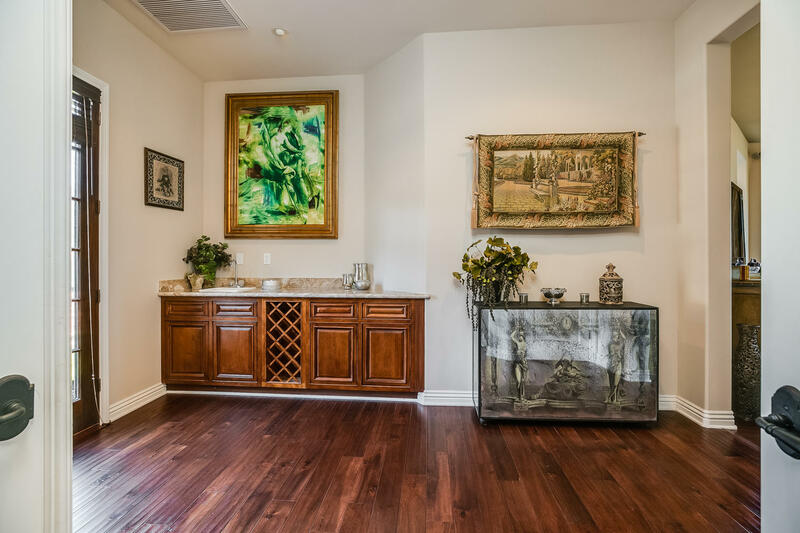 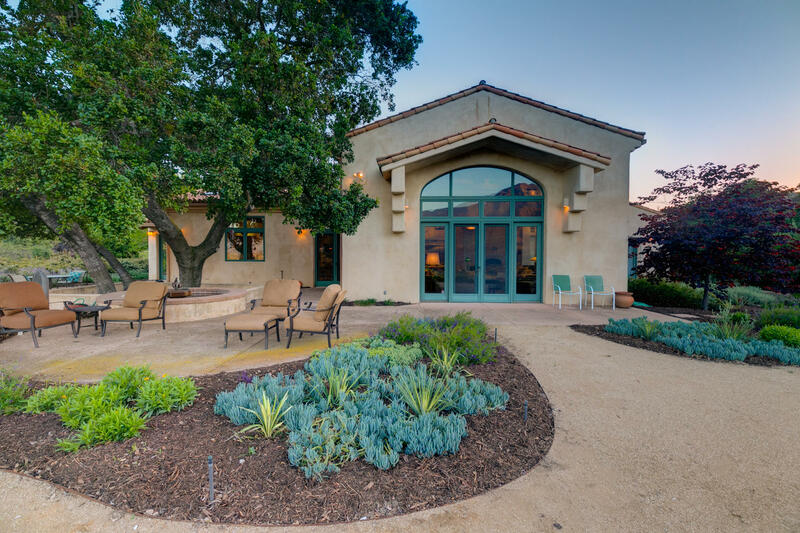 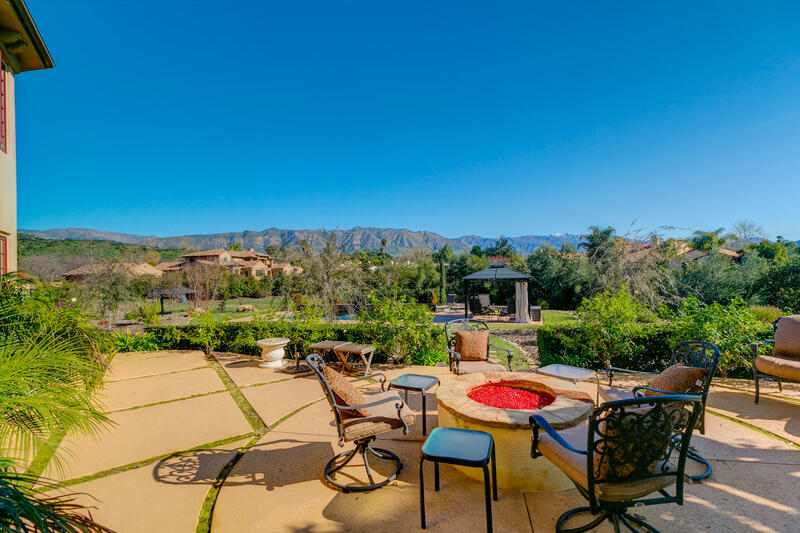 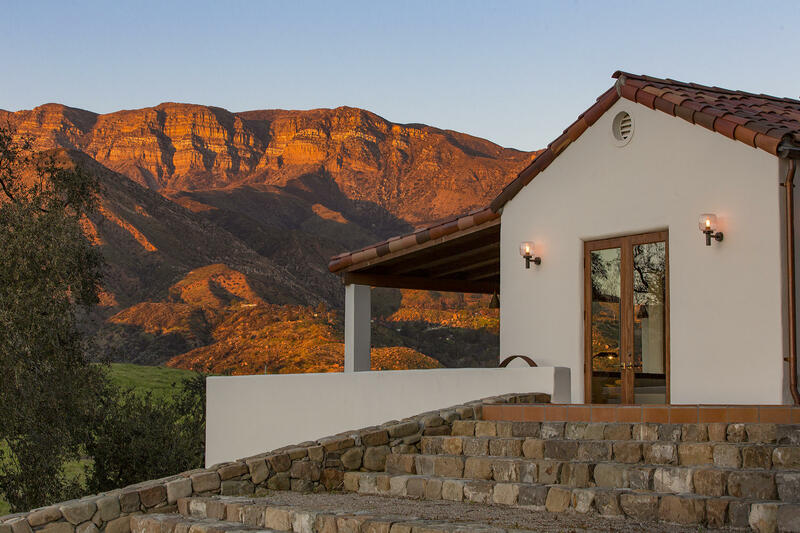 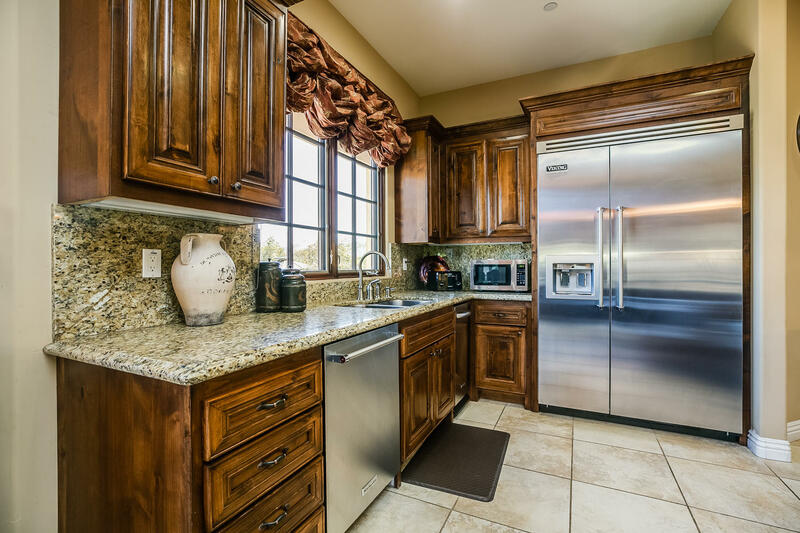 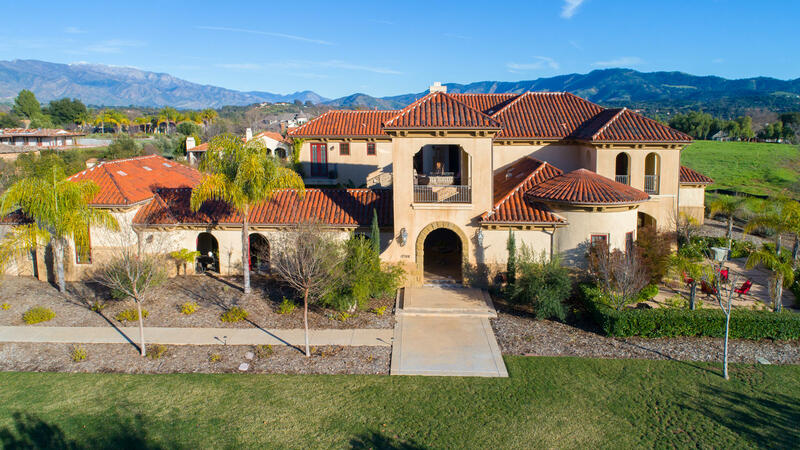 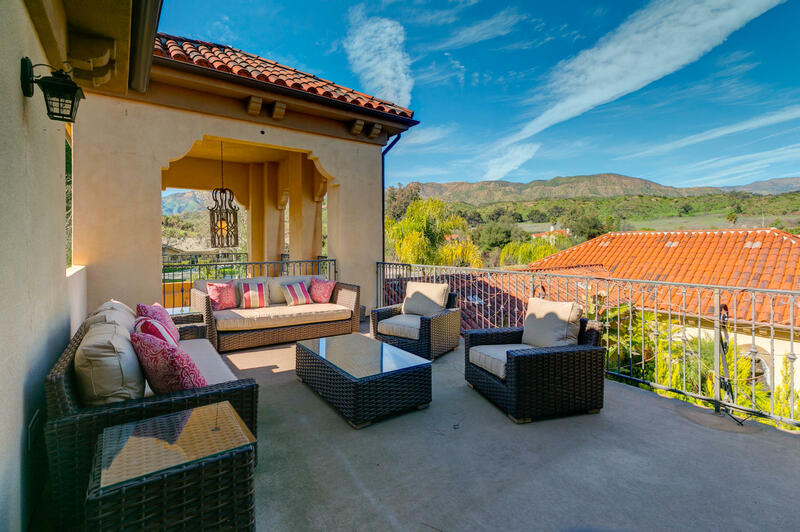 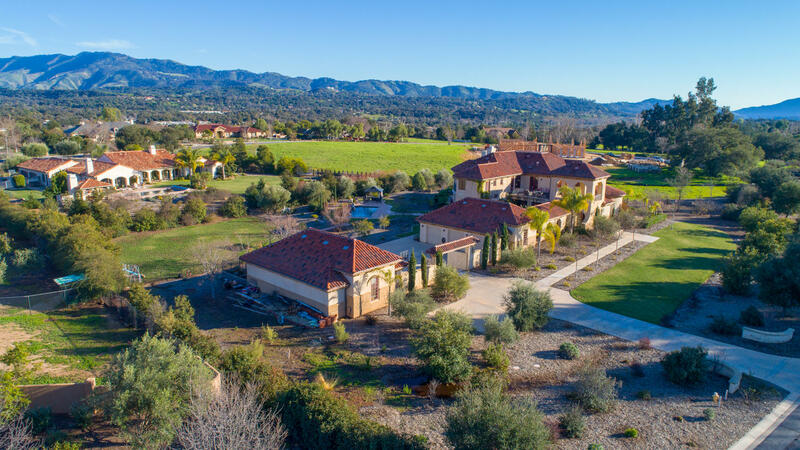 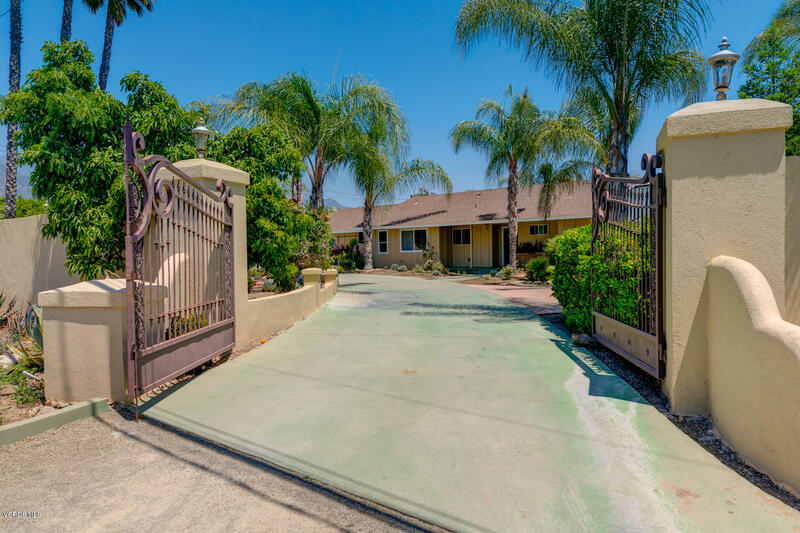 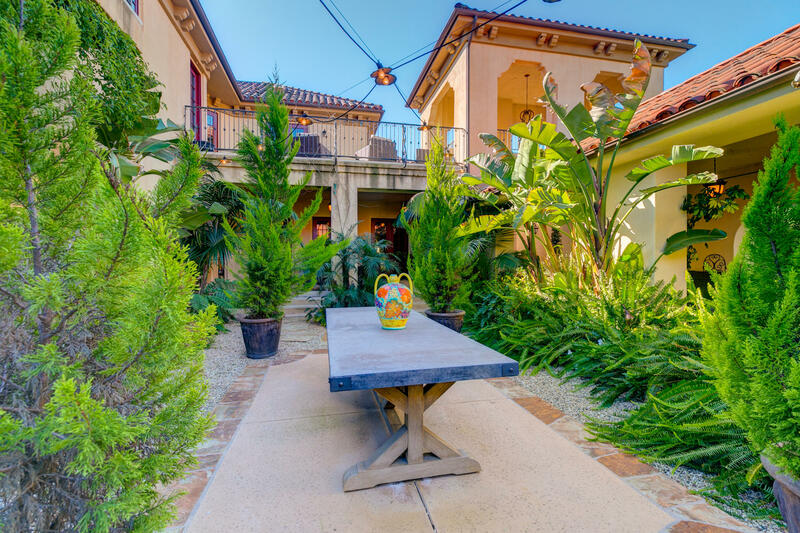 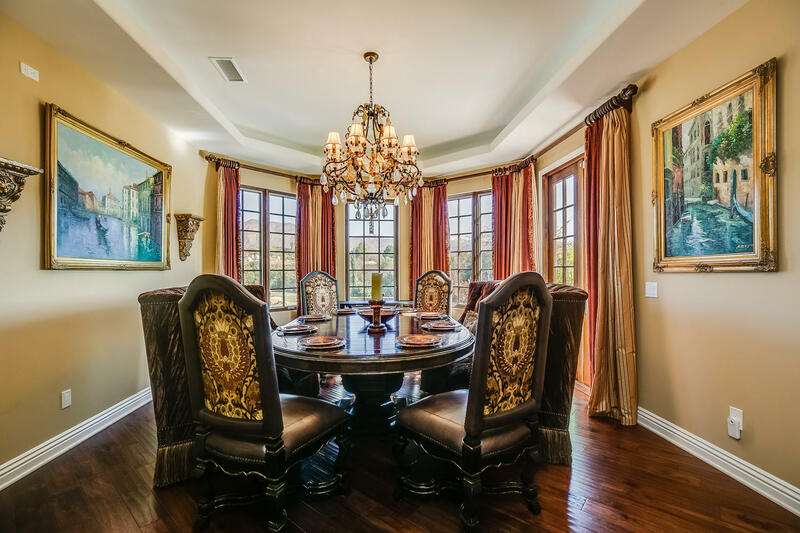 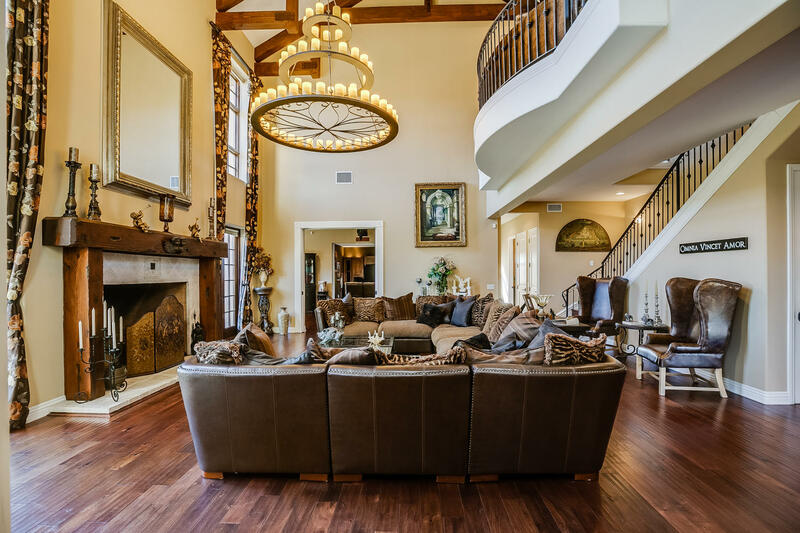 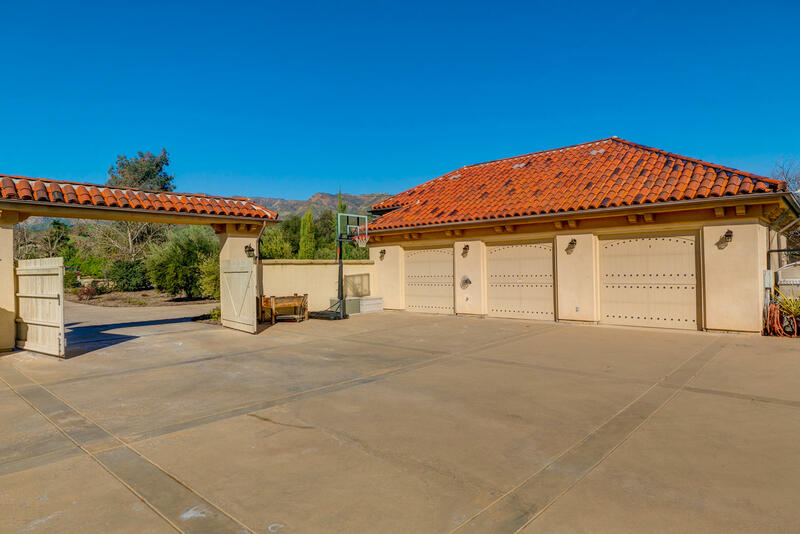 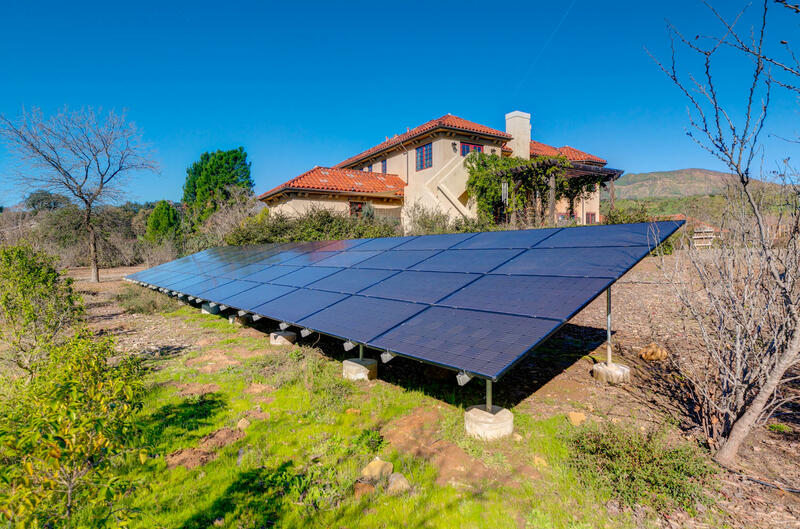 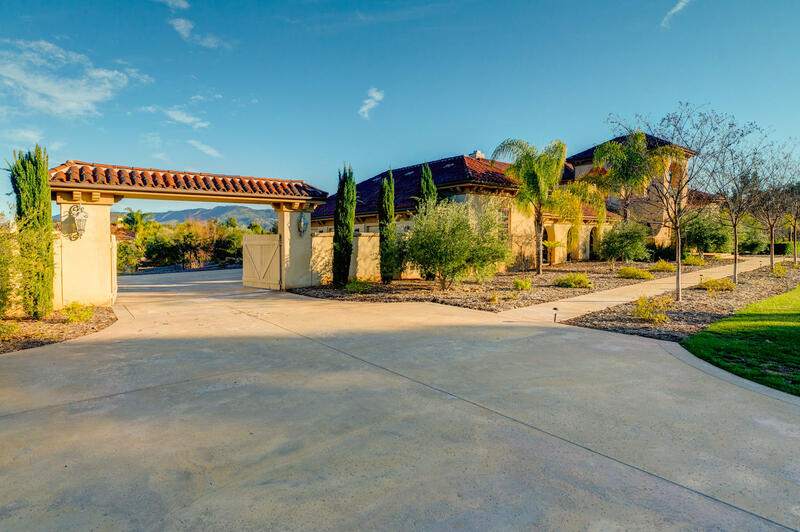 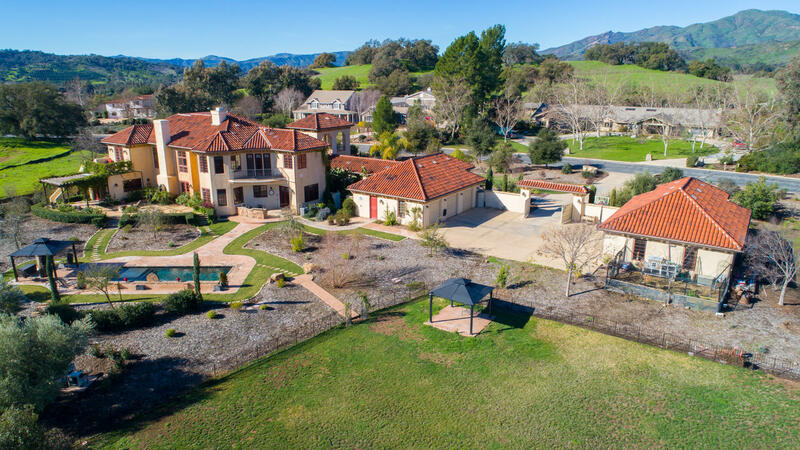 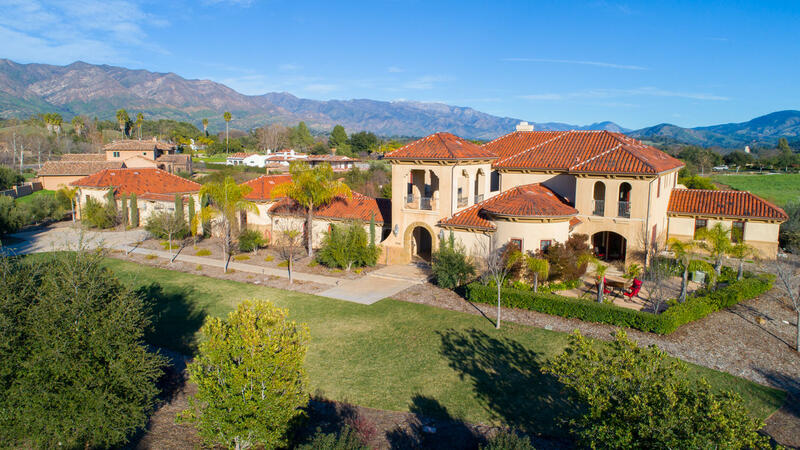 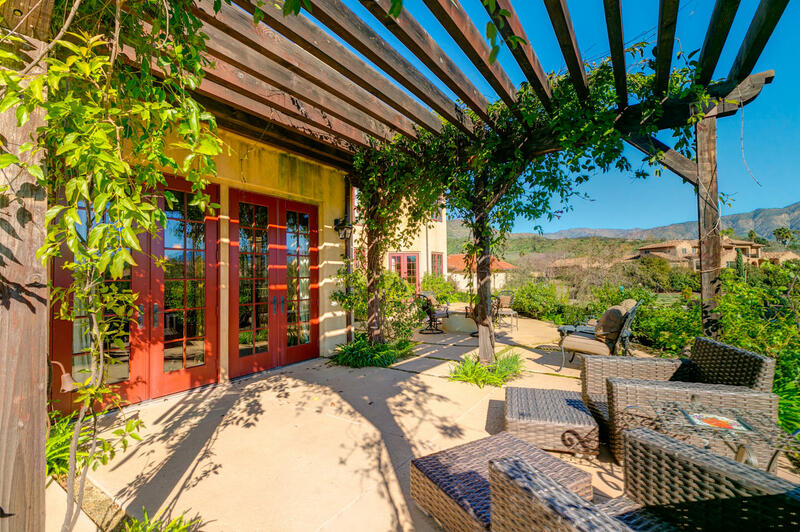 Magnificent Mediterranean Estate in a private location within the gated community of Rancho Matilija. 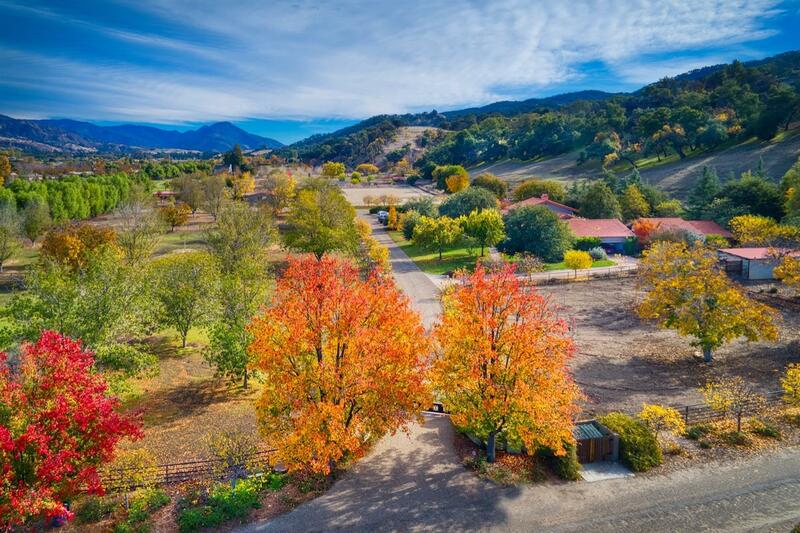 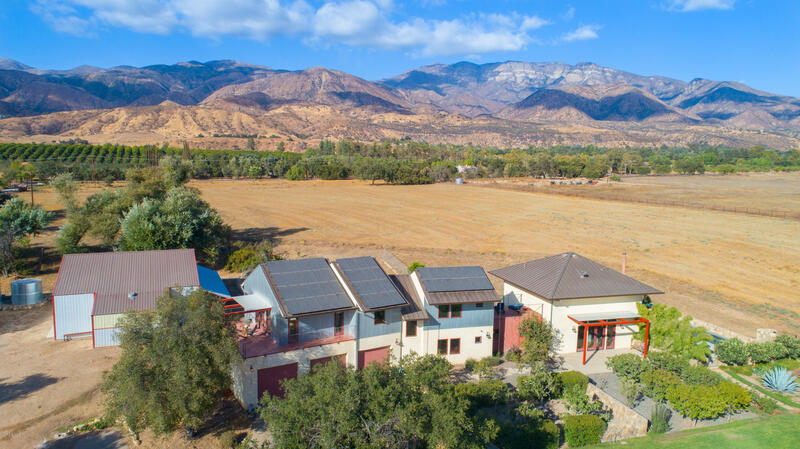 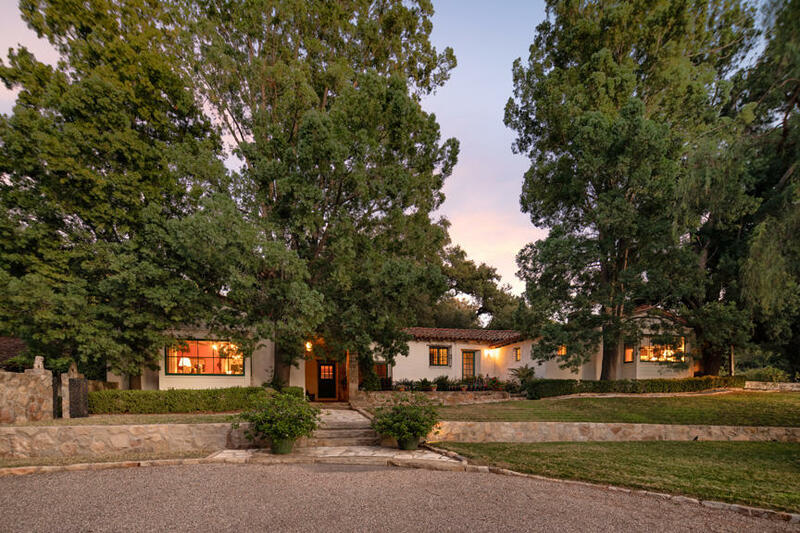 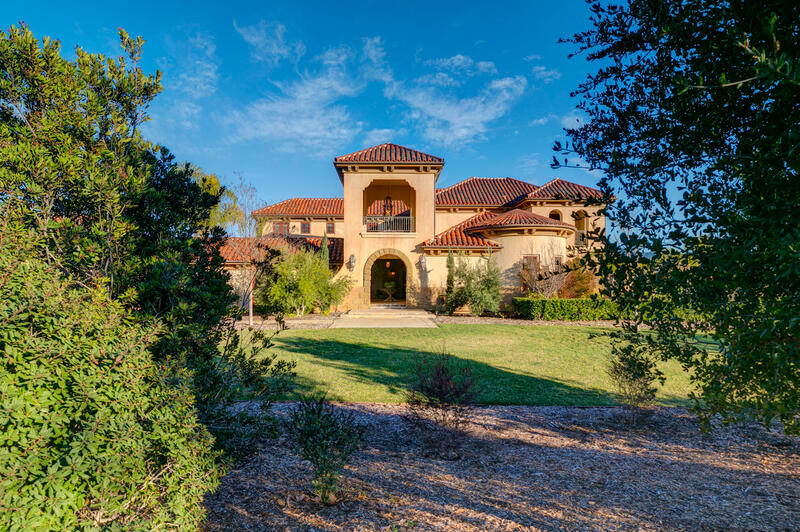 This property blends remarkable architecture and superior craftsmanship to create sun-filled living spaces that open to verandas on over 2 acres of landscaped grounds. 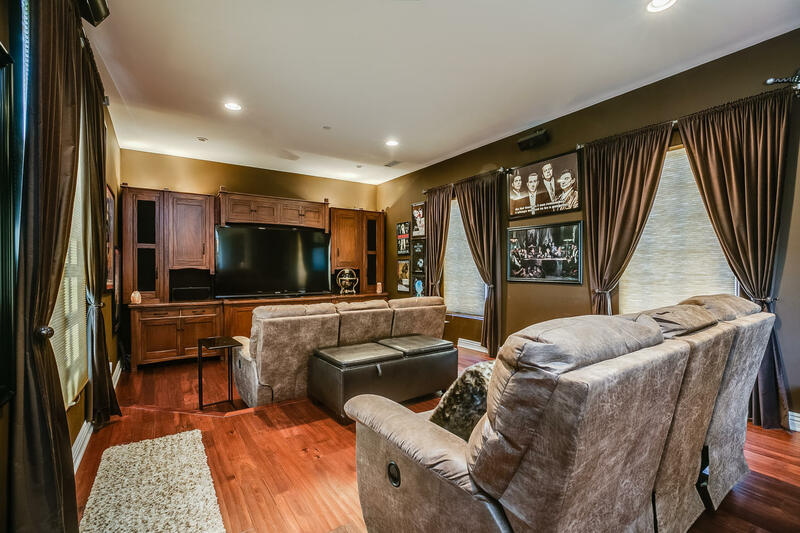 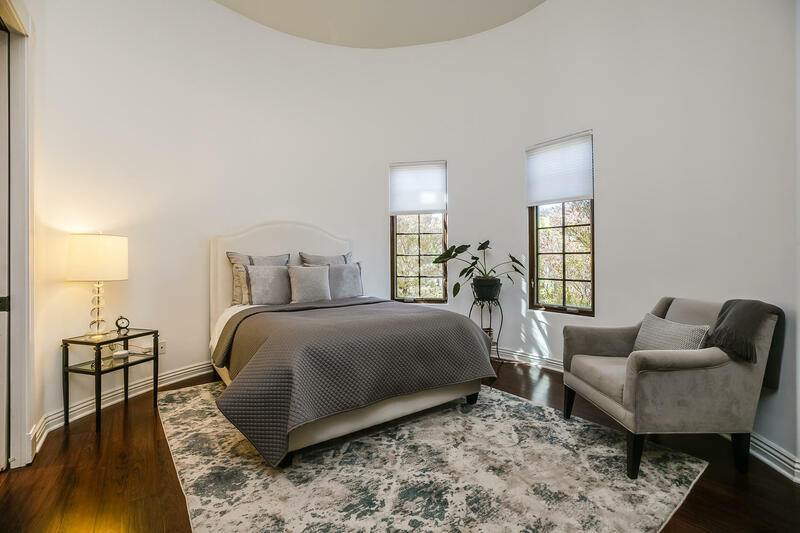 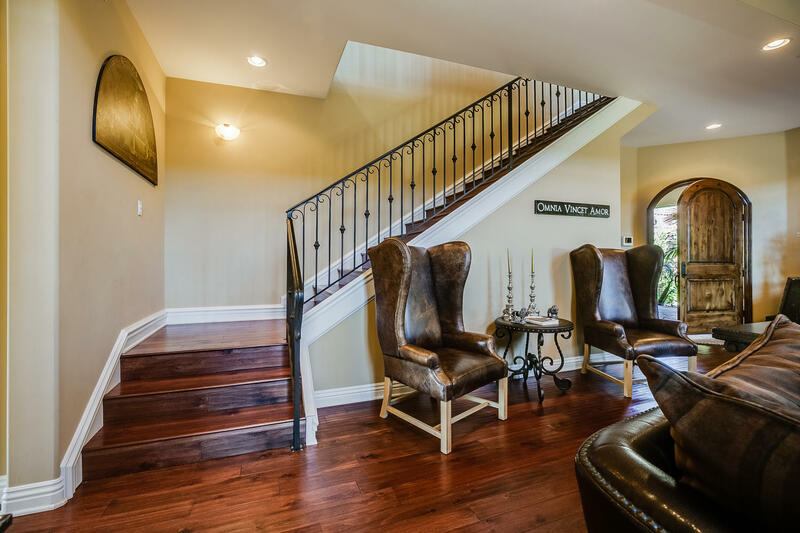 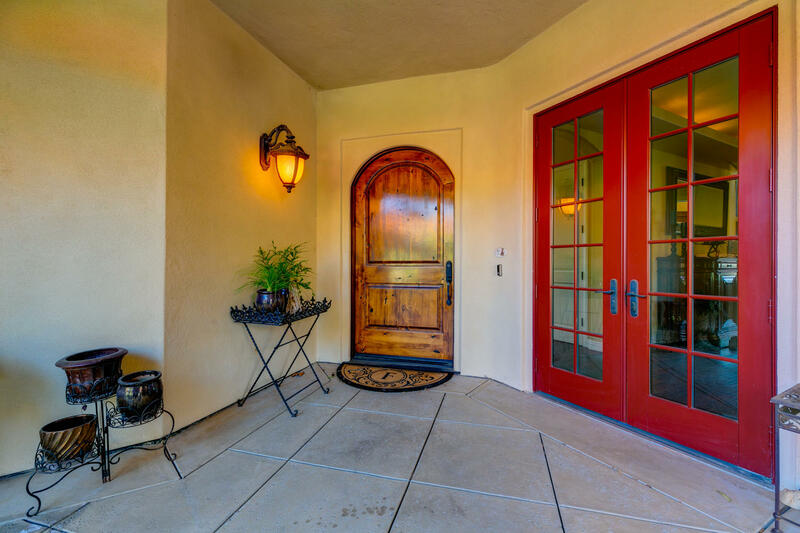 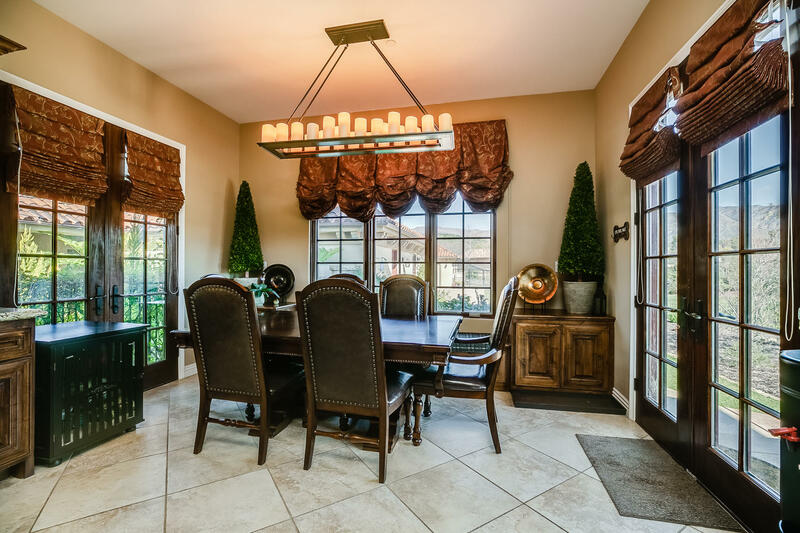 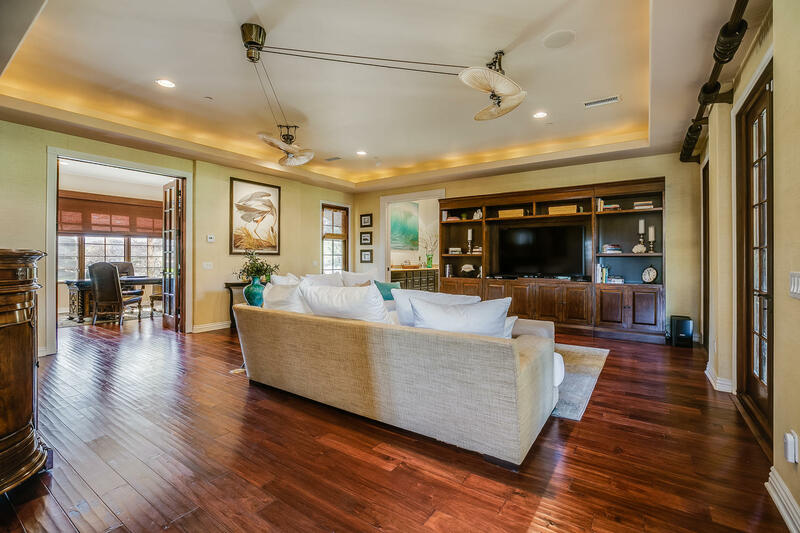 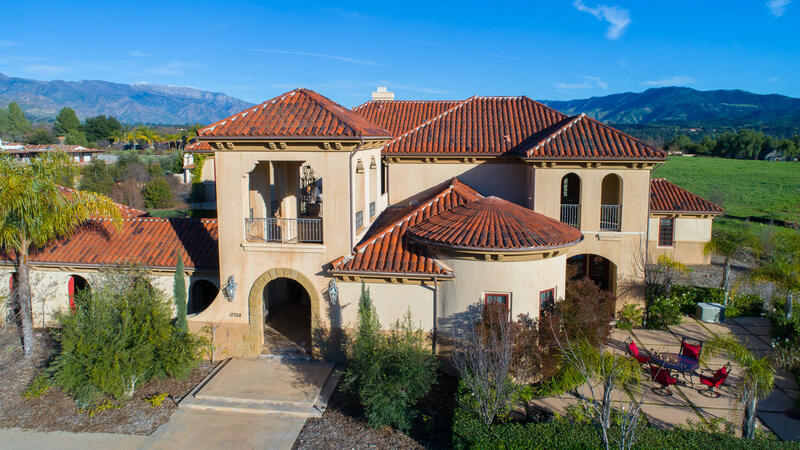 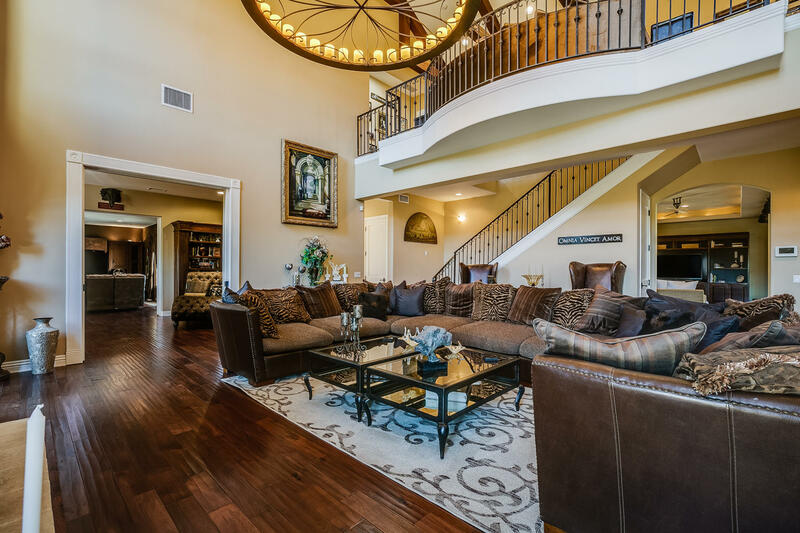 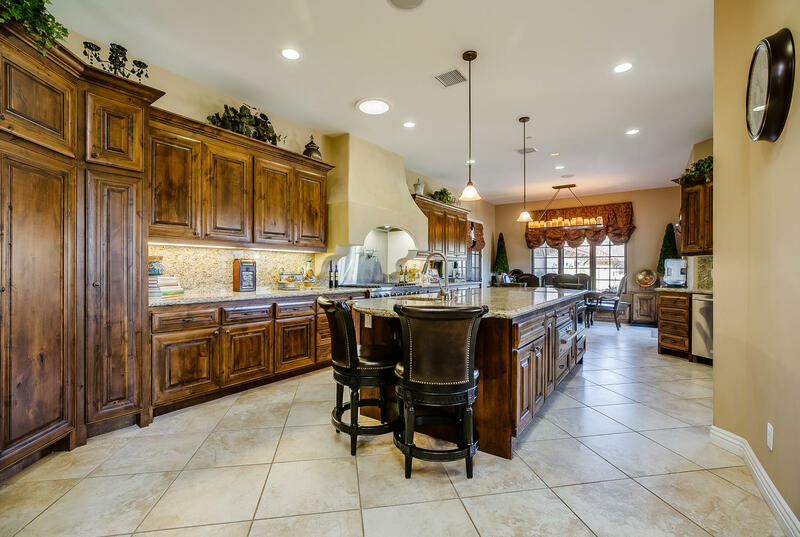 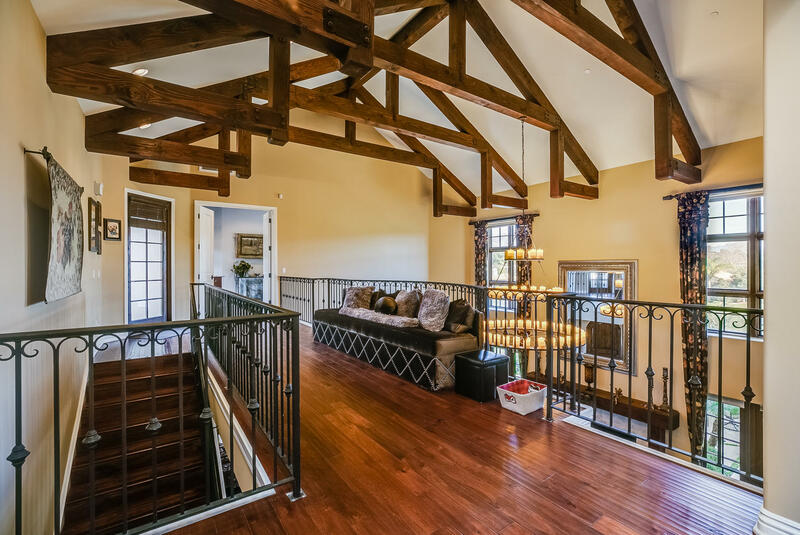 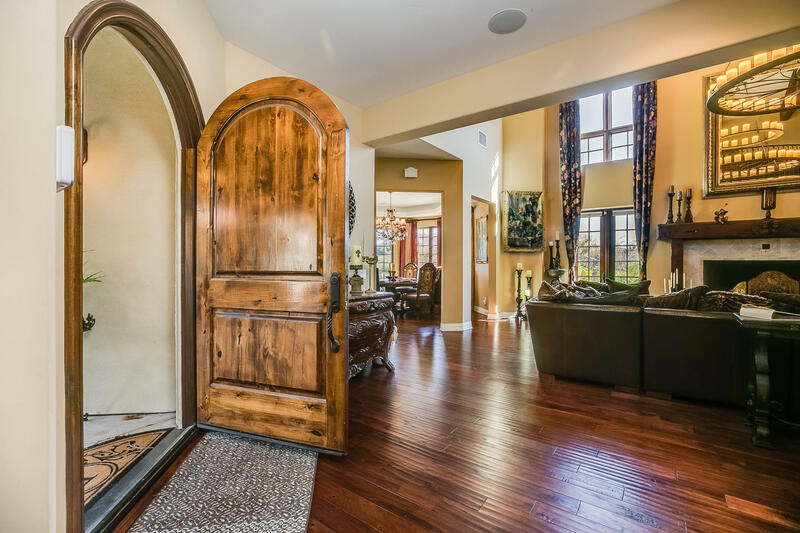 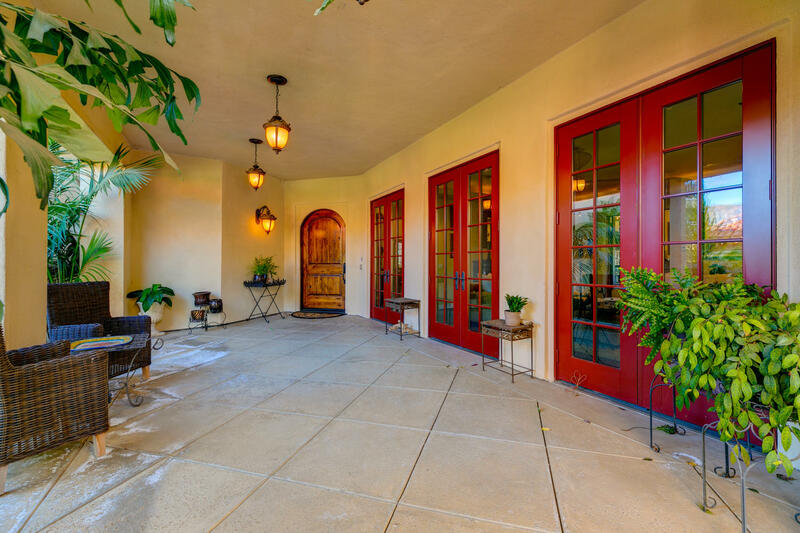 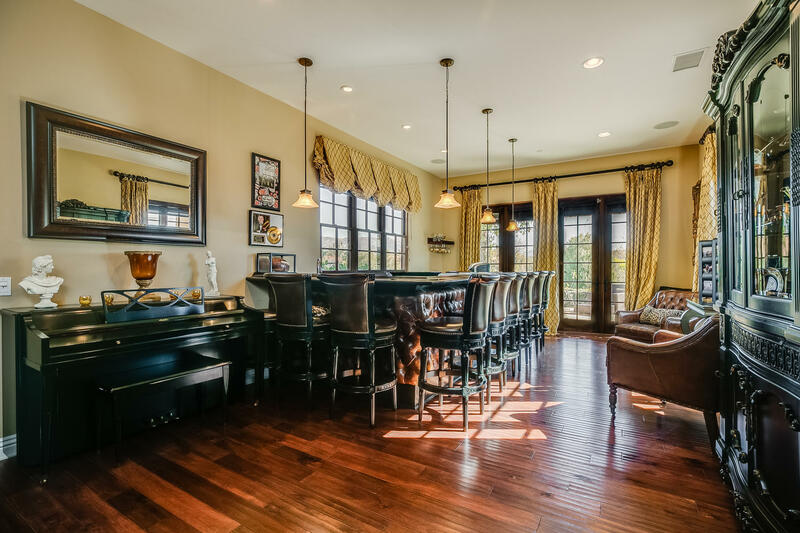 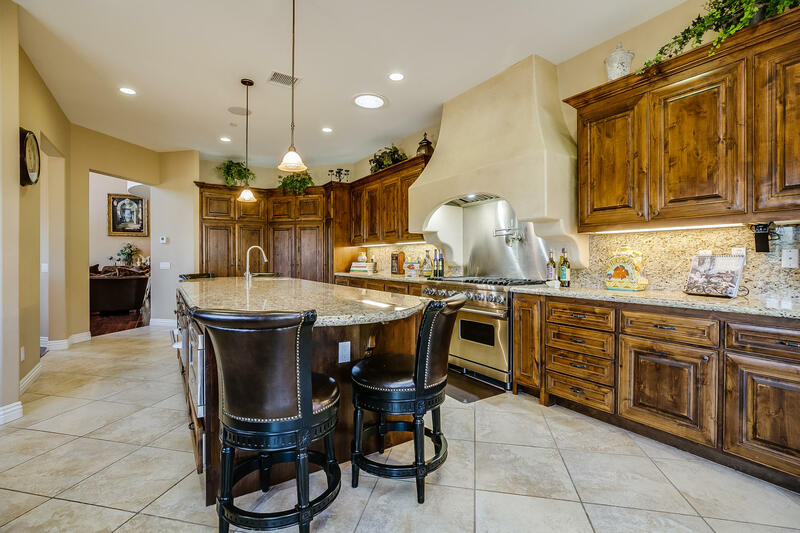 The Italian-esque portico opens to a gracious foyer and living room with vaulted ceilings, surrounded by a formal dining room, family room, gourmet kitchen with breakfast room, media room, games room with bar and library, as well as an office and guest suite with private entrance. 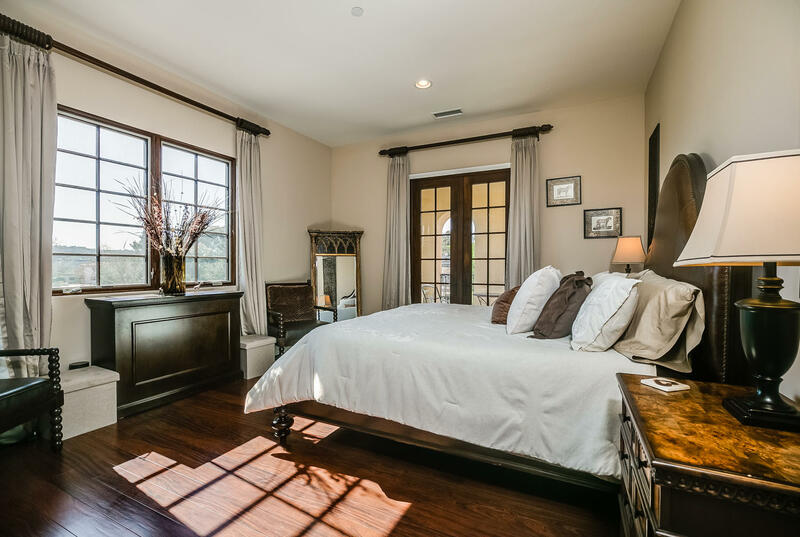 The 2nd floor features a wing with three ensuite bedrooms with terraces. 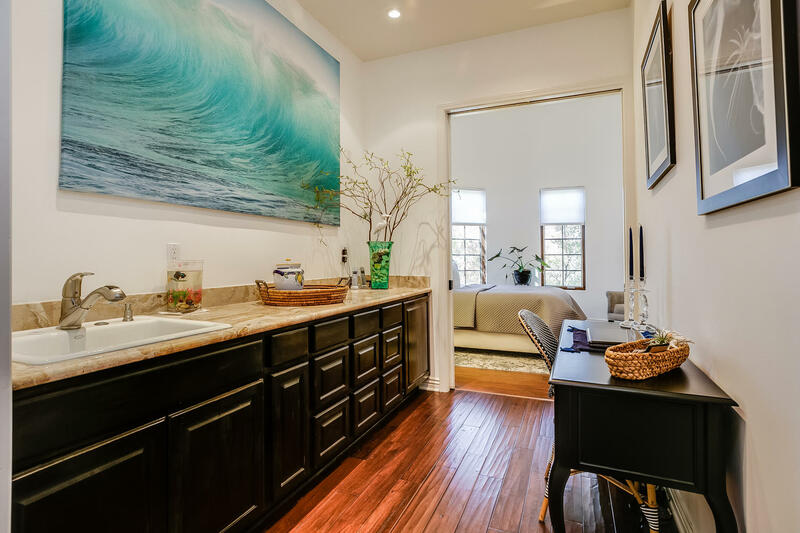 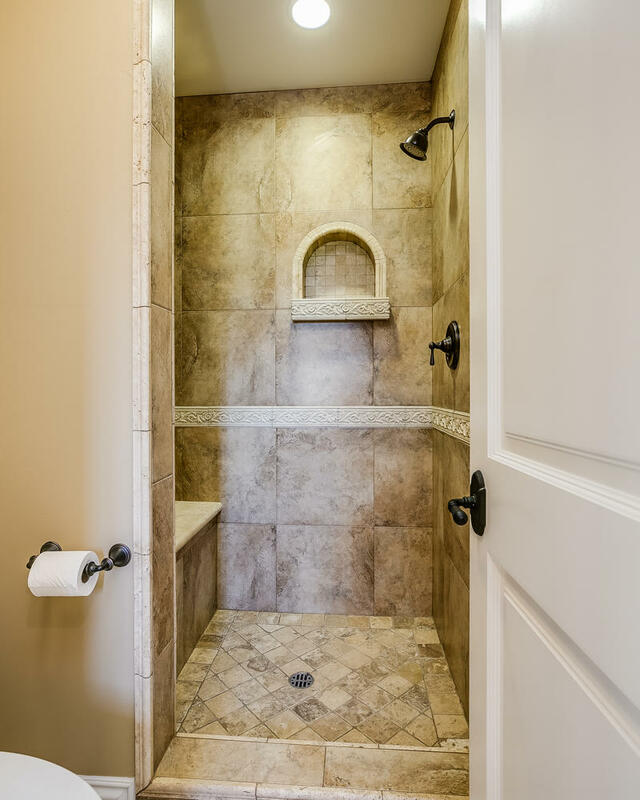 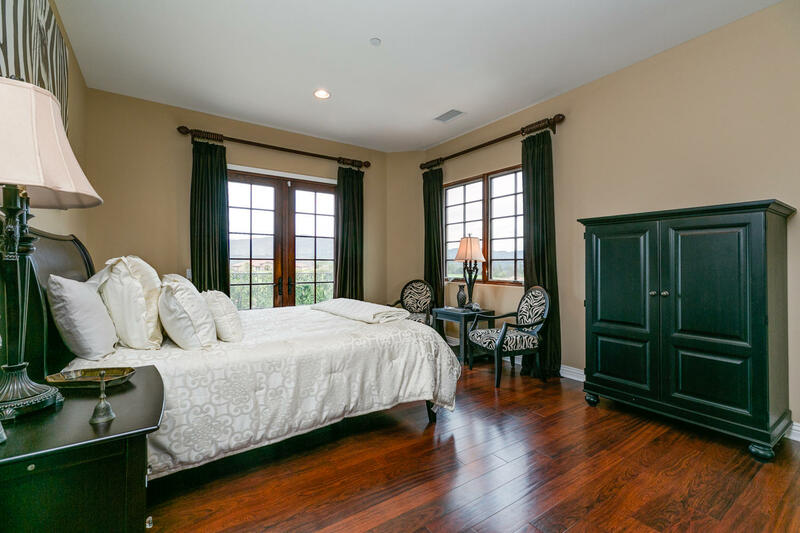 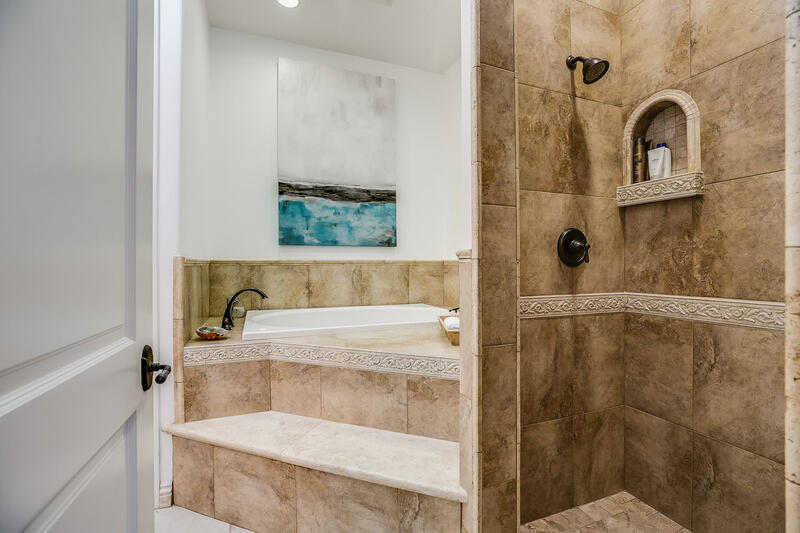 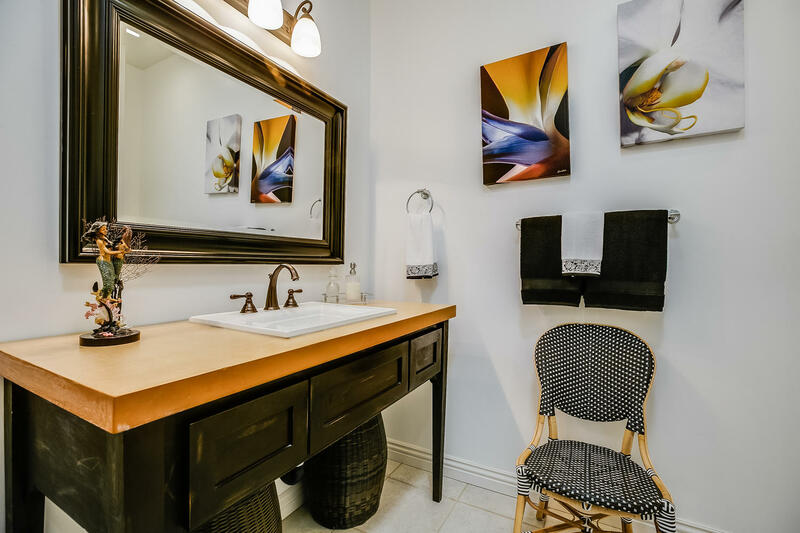 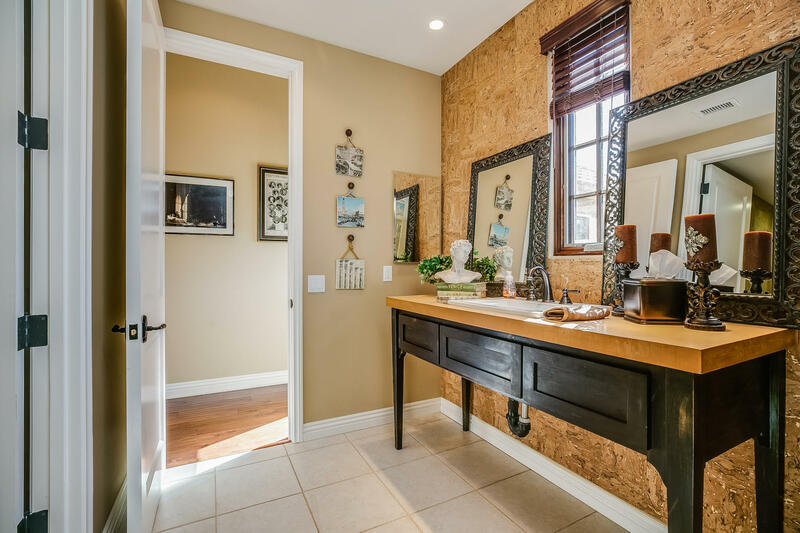 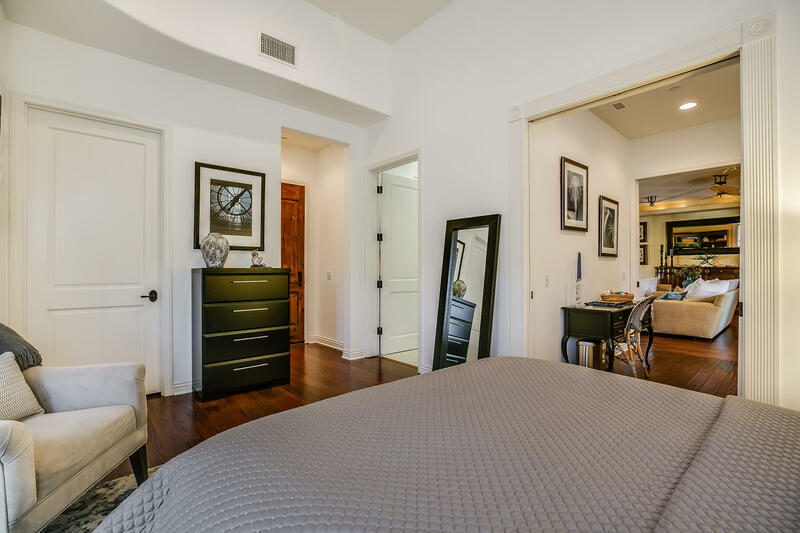 The Master features a sitting area, fireplace, walk-in closet and a spa bath with separate shower. 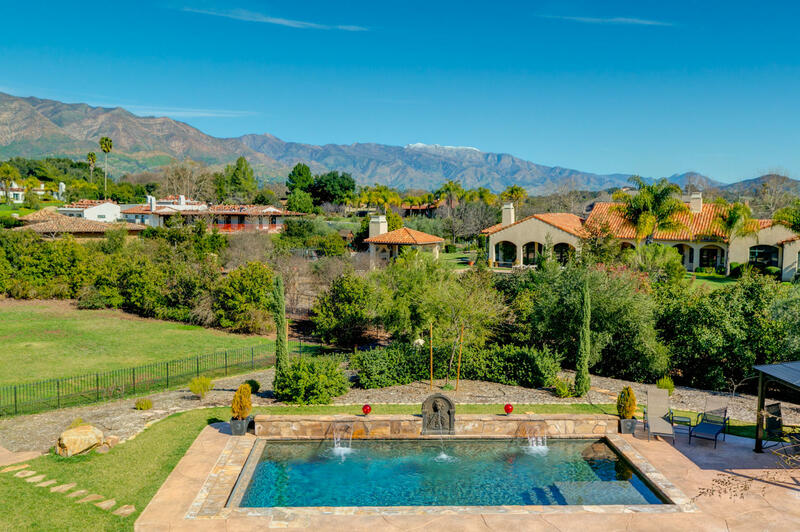 The grounds boast a custom pool, fruit trees, a courtyard and 6-car garage.